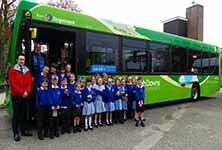 Pupils at Petworth Primary School in West Sussex were treated with a visit from a Stagecoach bus on Tuesday 24 April. 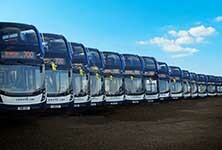 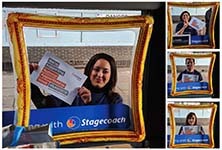 Stagecoach South today (15 February) confirmed that it has reached an agreement for Reading Buses to acquire part of the Service 7 route between Aldershot and Reading. 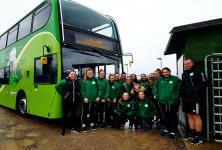 Stagecoach South is supporting Chichester City Ladies Football Club ahead of their game on Sunday 18th February against Liverpool Ladies in the Womens FA Cup 5th round. 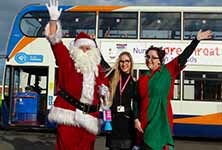 The Portsmouth Santa Bus campaign has raised £1,742 for The Alzheimers Society, a care and research charity for people with dementia. 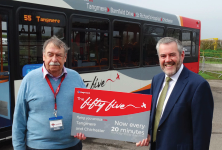 From Sunday 28th January 2018, there will be some new ticket prices for customers travelling across Hampshire, Surrey and West Sussex.